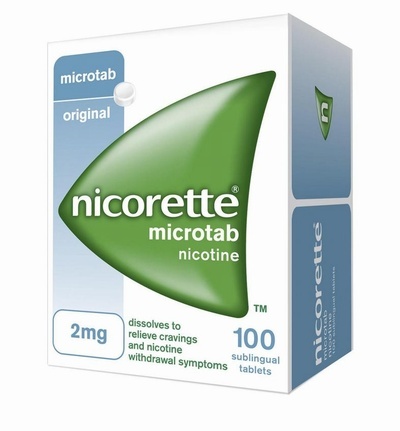 The Nicorette Microtab is a sublingual (placed under the tongue) tablet, which slowly dissolves in the mouth, suitable for those who want a flexible but discreet form of Nicotine Replacement Therapy (NRT) to help them kick the habit and stop smoking for good. These 2mg nicotine Microtabs can effectively relieve the withdrawal symptoms some people experience when giving up smoking. This is possible by using the Microtab, as nicotine is released and absorbed into your body through the lining of your mouth. It is recommended that you use the product for at least 12 weeks. After 12 weeks, you should aim to gradually reduce the number of Microtabs you use each day. When you are only using one or two Microtabs per day, you should think about finishing the course. It is not recommended to use the tablets for longer than nine months. Full instructions are available in the pack leaflet. Easy to use, just dissolve one tablet under the tounge in place of a cigarette.